Expectations of Motherhood: My journey into motherhood didn’t happen easily, so when it came to me taking the last pregnancy test – I had done so many by this point – I knew this one was different. I was scared to take it! I didn’t want to believe that what we had hoped for (and had started to feel wasn’t meant to be) was finally going to happen! No matter how much I had wanted and planned for that moment, I couldn’t believe it was happening (and took 3 more tests!). After my initial feelings faded I had the most magical day, feeling that it wasn’t just me anymore, that I had a little one inside me. Oddly enough this actually eased my fear. From that day onwards I made a conscious decision to talk to my baby (well, bump!) and to make sure I continued to do all I could to feel connected to my little one. 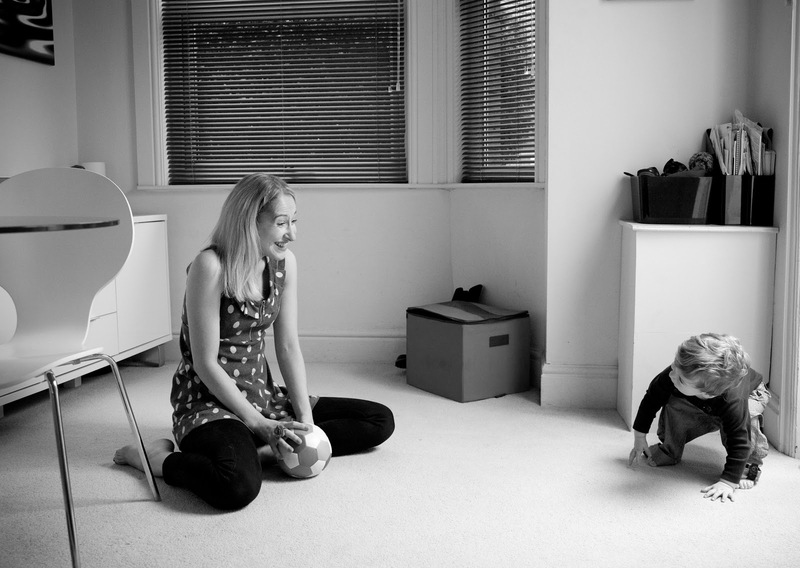 These were some of the many chats I had with my bump, or ‘bean’ as he was known by then. Reality of Motherhood: After a 37 hour labour I can honestly say I didn’t have that gushing feeling of overwhelming love, I just felt so relieved that it was over and we were all ok! Unfortunately we both picked up an infection which resulted in a further 5 nights stay in hospital – suffice to say I was exhausted and well and truly feeling the baby blues. I was desperate to take my baby home and for us to start to be a family, however in this was a difficult, and an often very isolated time. There was one moment that stayed with me, and made it all worthwhile, cuddling Max one night I read his tiny wristband, and it hit me, that this was MY son I was holding, and that I was now a Mum! A delayed reaction I know, but well worth the wait! And then came the getting home, and my God, although I had been desperate to get home it was a case of careful what you wish for! I had issues with breastfeeding from early on and basically became permanently attached to my breast pump (bought by my very stressed husband on the second day of being home after I had burst into tears on him again!). I had made the decision in my own mind that if I was going to have to give him a bottle that it would at least be breast milk that I fed him. I felt so guilty that I couldn’t breastfeed that sometimes when I fed Max in public I would try and hide so people wouldn’t see the bottle. Because of this it became a bit of a mission that I was determined to carry on for as long as I could and consequently expressed continuously to build up enough stock. I knew deep down that I couldn’t keep this up for too long (and my health visitor tried to say the same). I knew that I needed to stop beating myself up about it and just make the decision to stop, but anyone else who has been in this position will know how hard it is. I had to make the decision when I was ready to do so. In truth I was massively unprepared for the reality of having a baby and how much my life would change. If someone had told me before that I would walk down Beech Road after meeting a friend for lunch wearing a white top covered in mustard baby poo, I would have simply said, ‘Absolutely no way!’ and laughed out loud. But I did do that, and although it was mortifying, I did laugh – although not in the way I would have thought. The reality is you do these things, and sometimes it isn’t glamorous, or easy, but there is one very good reason why you do it, and that’s for your baby. Although unprepared on one hand I was also so well equipped on the other. All I had to do was what I had always done, talk to my baby and somehow by doing so we’d get through it – together – and 17 months later I’m still doing that and we are! Bringing your baby home for the first time: After being stuck in hospital and having to see Max given antibiotics through a cannula strapped to his tiny little arm (which made dressing around it fun! ), I couldn’t get out of there quick enough to start family life (whatever that meant). Walking out of hospital with your baby is one of the most surreal moments you will ever experience, followed by a very tense drive home. The drive was especially tense for Olly (including a few choice words for the man who nearly crashed into us)! We made it home…and after that, well to be honest my overriding memory was of eating the nicest bowl of pasta Olly had ever cooked (following 5 days hospital food). I’m not entirely sure where Max was (asleep in his car seat I assume!). Following that the health visitor turned up at some ridiculous hour the next morning to find Max and I still in bed, and none of us being clean! Not the best start, but it only got better! Best Advice: For me, the best advice that I was given was to talk to my baby, and that by doing so he would find a way of telling me what he wanted/needed, and if I kept that up we’d be ok…and it’s true, but then again it did come from the best source – my Mum! From my perspective I would say no matter what you read, or what you hear, it’s really important to trust yourself. After all your baby and your own instincts are there for a reason. On a practical level I would advise investing in a baby CD (The lovely sleepy baby one worked for us!). It might drive you mad after a while but it really helps to settle them during the witching hour that is late afternoon/early evening! I also used a sound machine in our room from day one, allowing Max to fall asleep to the sounds of the ‘ocean! This still works really well now, and helps me to sleep too! It helped to soothe Max early on, especially as he was quite jumpy after being poked and prodded continuously in hospital. Although somewhat controversial, I would say moving babies to be in their room early on works – Max outgrew his Moses basket after a couple of months and we didn’t have room in our bedroom for a cot, so he went into his own room. Of course it felt hard seeing such a tiny baby dwarfed by this cot bed, but it worked; he loved his room (and still does) and is (touch wood) a brilliant sleeper! I know it’s absolutely an individual choice and not everyone will agree, but I’m simply sharing my thoughts on what worked for us. Worst advice: I didn’t really receive any bad advice as such. It was more that my personal experience of a breast feeding counsellor wasn’t helpful – and I actually felt worse as a result. I felt I couldn’t recreate what I had been told to do and was also made to feel a bit stupid when I’d said I hadn’t wanted to give Max my milk whilst I was bleeding. The response was, ‘A bit of blood won’t do him any harm!’. Whilst this may have been ok for him, upon reflection maybe it wasn’t ok for me! Instead I simply persevered, and carried on feeling guilty and in pain. 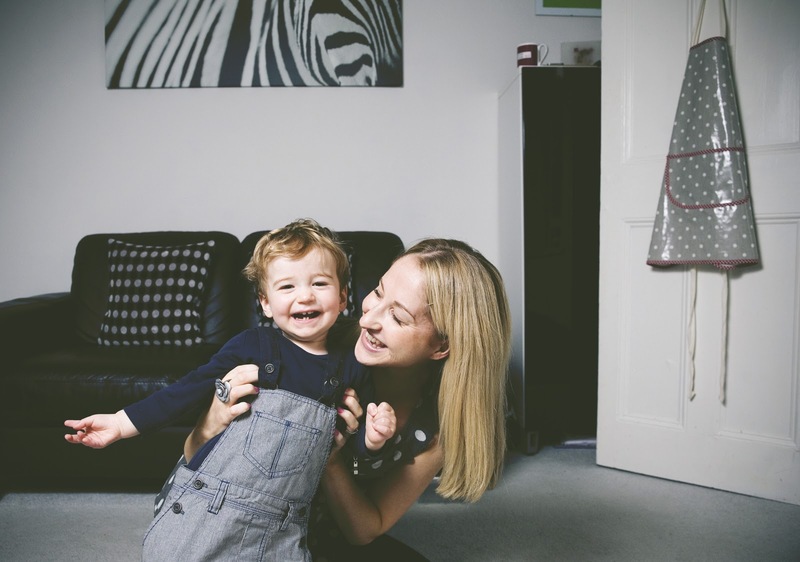 Hardest part of being a mum: For me it has to be an inability to switch off – your mind is always thinking, is he OK doing that? Has he eaten enough? Will he sleep through? Good, bad, fun, sad, whatever it is, your mind will be thinking. Coupled with this is the guilt. Such as, am I playing with him enough? Has he been out enough? Is he eating the right things? I really struggle with a lot of this as I am at home with Max on my own 4 days a week (it was 5 until recently). Olly and I both talked about this when we decided to have a baby – but after 15 months I started to struggle a little. I felt I needed to do at least a few hours work for a break in routine and enjoy some adult conversation. I also felt it was important for Max, as I really didn’t want to get to the point where I resented my decision to stay at home with him. Thankfully my dad is able to help out 1 day a week, and they both have so much fun that it helps me switch off and appeases the guilt – for a few hours at least! Max recently had a nasty bump to his head, after which he went floppy for a few seconds. For a minute I panicked and allowed my mind to go to that dreaded dark thought, the one that lies dormant but never far away in the back of your mind, ‘what if?‘. It reminds you what it feels like to be scared and helpless – both of which I’ve felt frequently as a new mum. It all comes down to loving someone so much you can’t imagine being without them. Best Parts of being a mum: Now to the fun part! And that’s exactly what it is – lots of fun! He makes me laugh out loud most days and has lightened my life in a way I never knew possible. Watching my little man grow and develop is incredible. I love that we have been a team since day 1. Seeing the way he looks at me, holds my hand, strokes my face (all on a good day!) – it melts me and makes all the guilt, anxiety, tiredness and stress disappear. Tantrums aside, I love the stage that he is at now, and although it’s exhausting, seeing him become a little person – trying in different ways to communicate with me and getting an idea of his personality – is just magical. Hopes for your family: Naturally my main hope is that my little family stays happy and healthy. I feel so proud of what we have achieved up to now and I don’t want to put too much pressure on where we will be in the future, or what lies ahead. It’s all part of the adventure of having a child – you don’t know where you’re at from one minute to the next, from tantrum to laughter – it all happens in a split second. Advice to new and expectant mums: To reiterate, on an emotional level it’s about trusting yourself and talking to your bump/baby. I don’t read baby books, and try not to compare us with others (although it’s inevitable sometimes). You’re not going to be looking at it from a neutral perspective though, so other peoples’ babies will seem better behaved (though never cuter!) and other mums will appear calmer, more groomed etc, but I would go back to the advice of listening to, and learning from, Max. To be honest I take it minute by minute and go from there. On a practical level – buy a sound machine and a Baby CD. In addition buy yourself a coat with a hood. Trust me, wrestling with a buggy and a brolly is not fun – I only found this out the hard (and very wet) way! Personally, I loved having a pre-natal baby listening device (despite being adamant I wouldn’t get one!). There was something quite amazing, and surreal, about sitting on the sofa watching TV with Olly – headphones in, listening to our baby’s heartbeat. To be honest though, it’s such a personal journey, and you will find your own way through it, and that’s part of the magic of it. You do find a way through it, and while it may not always be easy, it’s rewarding on a level you could never imagine.